Thread: Infinity Income Dealership Package by Alliance Publishing, Inc.
"If I showed you a proven, legal and ethical system where there's little to no effort involved, where you can bank a gigantic $1,000 or more every single day of the year, and where you simply CANNOT fail - with a full, money-back, lifetime guarantee - would you be interested? You may have heard of me. I'm Catherine Reece, founder of a widely acclaimed U.S. direct mail company called Alliance Publishing, Inc. We provide a fresh approach, yet with up-to-the-minute, premium-grade "how-to" information products that consistently explode profit and sales records every year, year after year, for our partners. And we do it virtually every time we send a piece of mail out." First of all, I've never heard of Catherine Reece before. Why does she think that I have? She's not famous. 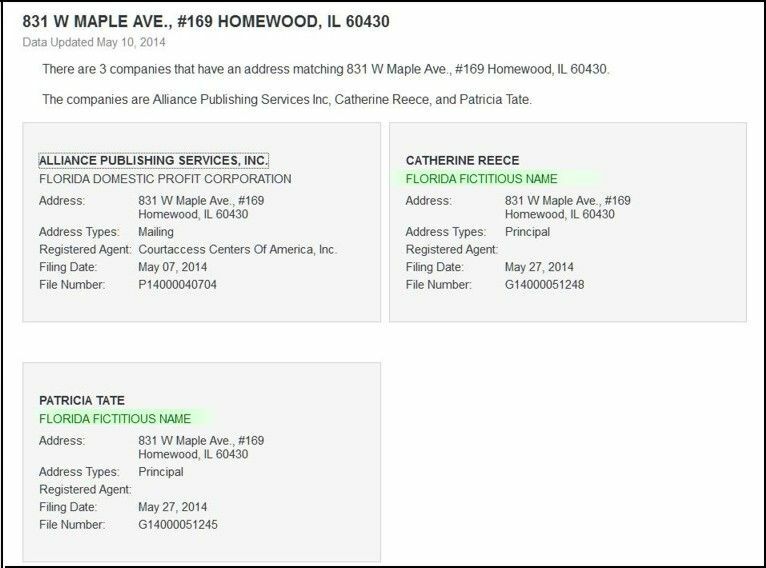 I've never heard of Alliance Publishing before either. I'm also not impressed by a "full, money-back, lifetime guarantee." I don't know or trust Catherine, so why would I believe anything she says? I remember a very long time ago I purchased a book that was supposed to show me how to make a lot of money. (I was a teenager back then, LOL.) The book was worthless, so I mailed it back. By the time I mailed it back, the business had already shut down, and the post office sent the book back to me with the words "return to sender" stamped on the package. So I never did get my refund. But I did learn something important . . . I learned that anybody can take your money and run. "With this dealership, you don't have to 'create' a thing . . . It's all done for you. And don't forget, you'll be able to use this exact sales letter. This letter is tested and proven to automatically sell the package for you 24 hours a day, 7 days a week . . And have your mailbox flooded with $100 checks and money orders. Also included is our recommended mailing house that we guarantee will always get you at least a 3% response rate. In other words, a 1,000 piece mailing of your sales letter is guaranteed to bring you back a least thirty $100 orders. Let's say they print and mail 1,000 high response pieces for you. Now remember, the system absolutely guarantees you a flat-our minimum response of 3% or you don't pay. That means at least 30 orders, which also means a titanic $3,000 cash in YOUR pocket! 1 order a day, or 30 orders a month = $3,000 Per Month! 2 orders a day, or 60 orders a month = $6,000 Per Month! 3 orders a day, or 90 orders a month = $9,000 Per Month! 5 orders a day, or 150 orders a month = $15,000 Per Month! 10 orders a day, or 300 orders a month = $30,000 Per Month! You pocket $100 on every order and don't lift a finger." And that's how I'm supposed to make $1,000. By getting 10 orders a day. But that's not even profit. How much does it cost to mail out these letters? Why didn't Catherine deduct the cost of the paper, the envelopes, printing, and postage? I guess she lied about making $100 profit per order. And how can she guarantee a 3% response rate? Does the mailing house offer a full refund if I don't get 3% and I lose money? I doubt it. The letter also contains 2 pages of testimonials which I didn't even bother reading. Then I send the other $100 to a dealer named "Dave" who has a separate address. But what happens when there's nobody left to sell to? How can everybody get 10 orders a day? It's impossible. Most people will end up losing money, won't they? And why does this "widely acclaimed" company not even have a website? Are they still stuck in the 1980s? This looks like a big waste of money to me. I'm definitely not going to buy anything from Alliance Publishing. And Catherine . . . if you're reading this . . . get a life. Re: Infinity Income Dealership Package by Alliance Publishing, Inc. It's a revival of a chain letter from 2009. The Illinois address was a post office box. And this appears to be Ms. Reece's "famous" company, less than 90 days old. Page 9 of this media includes the required business statement from Catherine when she created her company. Does the name Peagan Twitty appear anywhere in the letter, pray tell? I love when these crazy scams and their promoters run around bragging that it is legal. That is an absolute guarantee that it is not legal and you are very likely to lose your shirt on the deal. What legitimate company in the real world runs around explaining to customers and employees that hey, we are legal. Sheesh!!! I've never heard of Tim before, but Peagan/Catherine/Patricia must think very highly of him, since his testimonial is on the top of the first page. The guy claims that his waist went from 29.5 inches to 33.1 inches. In other words his waist has increased. How can this happen when he lost fat? This is a contradiction. You lose fat but somehow your waist increases. And please don't tell me that he gained muscle. I've been training long enough to know that the last thing that grows are the abs. The phrase "doing business as" (abbreviated DBA, dba, d.b.a. or d/b/a) is a legal term used in the United States and Canada, meaning that the trade name, or fictitious business name, under which the business or operation is conducted and presented to the world is not the legal name of the legal person(s) who actually owns the business and is responsible for it. In other countries the expressions operating as (abbreviated o/a) or trading as (abbreviated T/A) are used for a similar purpose. The desired name might not have been able to be registered, or the business might be owned by another company, franchisee, or a sole proprietorship, resulting in all legally binding transactions taking place on behalf of the trading as name. The distinction between an actual and a "fictitious" name is important because businesses with "fictitious" names give no obvious indication of the entity that is legally responsible for their operation. Fictitious names do not create legal entities in and of themselves; they are merely names assumed by existing persons or entities. In some jurisdictions, when a businessperson writes a trade name on a contract, invoice, or check, he or she must also add the legal name of the business. An example of a jurisdiction that mandates this is Ontario, Canada.